Pumphouse Studios is the workspace of artist Julia Janeway. 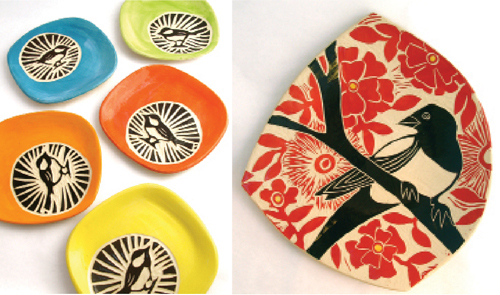 Drawing from her love of illustration, Julia’s carved ceramics are of contrasts, lively and with a sense of humor. Pumphouse Studios gets its name because Julia first worked in an old pumphouse on her land. In 2006, the current studio was built, a welcome space for visitors. Open by appointment and during the Ashland Open Studio Tour. Julia’s pieces are on display at Hanson Howard Gallery. 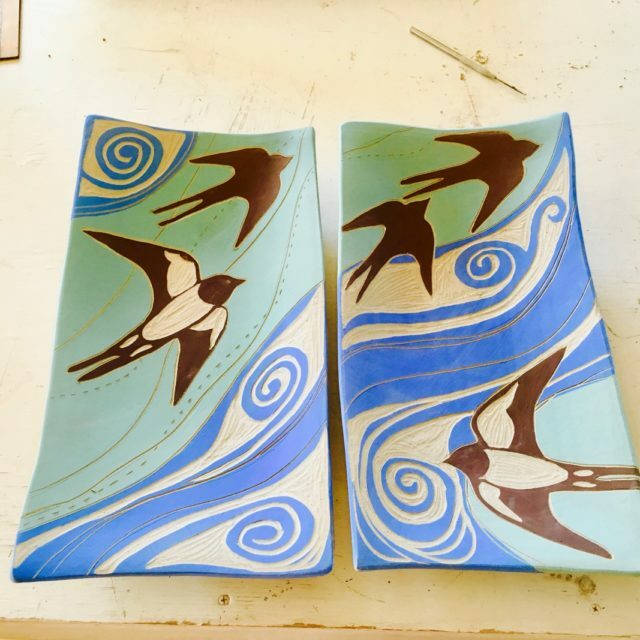 Julia Janeway hand carves swallows on clay. This piece will then be fired twice and part of her show with Denise Kester at Hanson Howard Gallery the month of October 2017.
my show with printmaker Denise Kester at Hanson Howard Gallery during the month of October. And the Ashland Open Studio Tour, which will be the weekend of October 14-15, from 11-4 each day. I will be doing a demo of my carved work and welcome you to come visit me in my home ceramics studio!